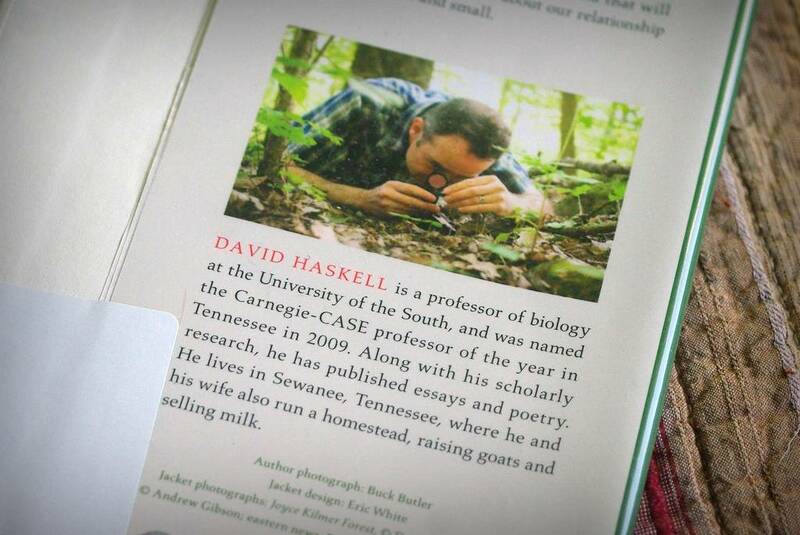 This is not a book about gardening -- it's a nature book. Also, I must confess that I do not own this book, but rather have it on loan from the library. 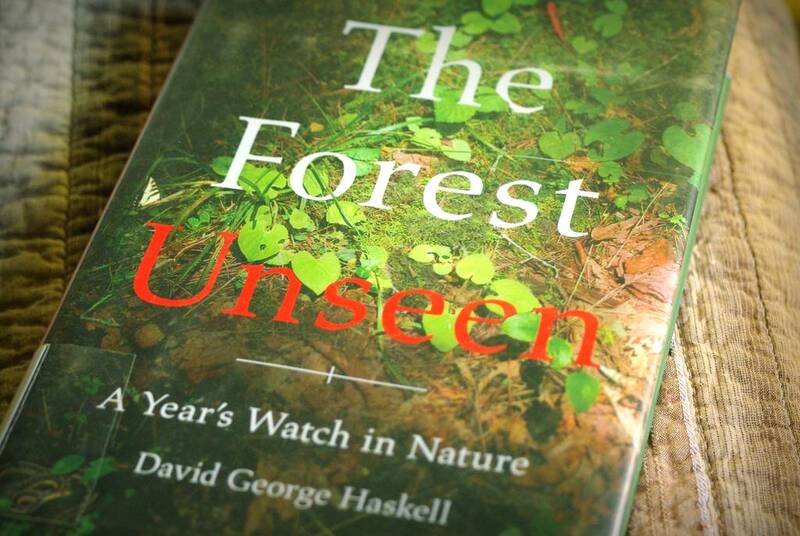 The premise of the book is simple: the author would closely observe roughly one square meter of forest near his home for a full year. He didn't set fantastic goals like living on this patch of land, or even visiting it every single day. His modest goal of visiting "when he could" both makes the visits special and also copyable; there's no reason why any one of us reading couldn't do the same thing with any other square meter of this planet's surface. I said this book is poetic. Here's an excerpt, taken almost at random. Note that he refers to this square meter as "the mandala", since it is about the same size as the creations of Tibetan monks. An impossible number of flowers blaze out of the mandala. Confusion sets in when I try to count them: two hundred and eighty, three hundred and twenty, too many crowded into one square meter. The flowers' valets are in attendance, buzzing and humming in smart furry dress, fussing over the floral royalty. I join them in their observance and genuflect, then prostrate myself, hand lens pressed to my eye. Darkness advances. The cicadas finally fall silent, ceding the chorus until tomorrow, when the day's heat will wake them. Other katydid species join in. Lesser angle-wing katydids shake out bursts of raspy sound, like arboreal maracas. Whines and buzzes from other species poke out from the chorus, hinting at the diversity of leaf chewers above. As dusk progresses my sense of sight fails, and the forest swells around me in dark billows that finally merge into blackness. I've never read a book about the natural world in which every page contained such satisfaction, my thirst for creative and poetic prose quenched. Each chapter documents a certain occurrence or topic: spring ephemerals, mosquitos, an earthquake, fungi, sunrise birds -- over 40 topics in all, each one fascinating, personal, and enjoyable. The chapters are often only a few pages long, and although there are a small number that were written about the same day's visit, most are spaced out by a week or two, so you quickly move through the year. vultures: how do they eat rotten meat and not die? There's so much more too -- this book delves into so many areas, touches and explains so many topics, yet never intimidates. 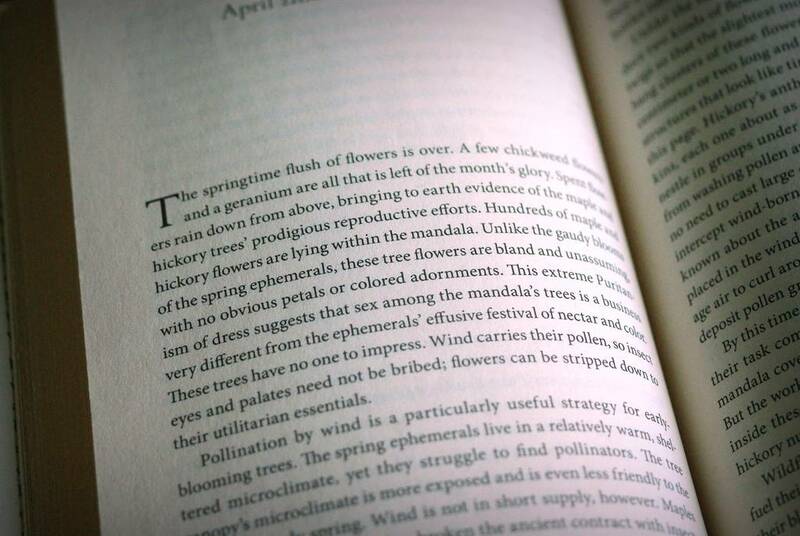 Reading many of my other gardening books often seems like I'm trying to finish an assignment, as the knowledge is there but not in a "fun" form. This book teaches me things before I even realize it. All of us plant people and food growers can relate to this concept, as that's how we learn in our gardens, isn't it? At the start of this post I said that the premise of the book (observe a small patch of Planet Earth for a full year) is something that any of us could do. I feel that this greatly contributes to the book's appeal at least for me -- I've watched small parts of my garden very closely before, but never on this scale. It's certainly inspiring for me to continue to be observant. In summary: There is nothing about this book I don't love. Its language, the information it provides, and its inspiration combine in a way that any reader with even the slightest interest in nature will enjoy. Am I glad to have it on my bookshelf? I don't own it (yet), but if I did: YES! Would I be disappointed if I misplaced it it? Yes! Will I read it again? Yes! Would I give it as a gift? Yes! I'd never even heard of this book, but naturally now I would love to find it. Time to dig out the library card. The excerpts that you have picked out were written in an interesting way. I think it is a great read.